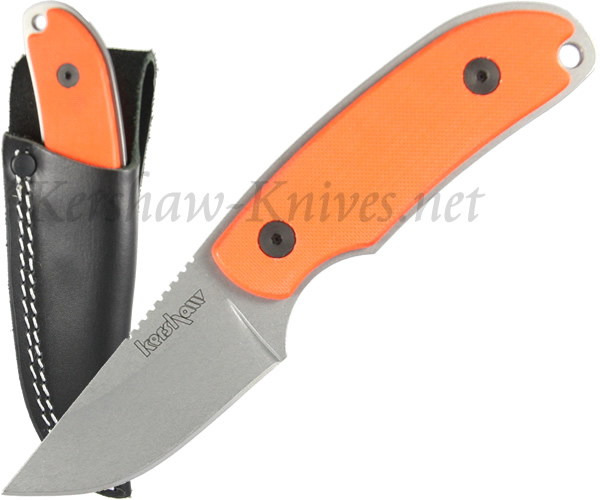 The bright orange color of the Kershaw Orange Skinning Knife 1080OR makes it highly visible, which comes in handy if you need to lay it down in the middle of a task. The full tang fixed blade knife is made from Sandvik 14C28N with G10 overlays for a durable gripping surface. Ridges along the back of the blade provide a stable area for applying pressure or guidance with the thumb. A leather sheath is included with the 1080OR Skinning Knife.